I actually have that skirt -- in the dark wine color it came in over the winter. I've worn it a few times as a midi dress, actually, but had a hard time making the maxi skirt version work (I bought it after loving maxi dresses for pregnancy and postpartum and thinking it would be easier to nurse in). I'd love to see what you do with it, though! It's been easy to wear ad has held up well, by and large. I've totally fallen for maxi skirts and dresses! I just know I'm going to live in them this summer. Love it! I would totally buy this. and I tagged you in a post today :) Happy weekend! 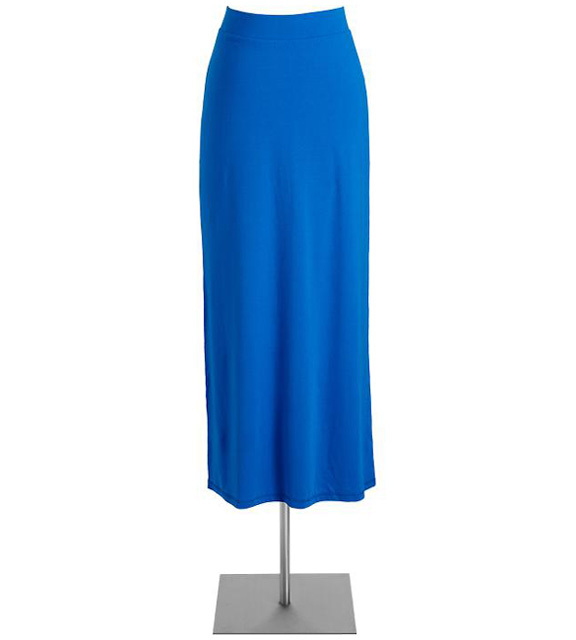 Thanks for posting, I've been waiting for a good deal on solid maxis and I just bought this skirt in blue and black last night. Scored a great deal with the friends & family coupon on the ON facebook page. They are super comfortable, lightweight but not too thin.